This durable, full-color, glossy pamphlet provides a clear summary of LDS beliefs, practices, and history, with sound tips for interacting with Mormon friends, neighbors, and co-workers. An excellent tool for outreach and missions groups, Sunday school classes, or to give to someone investigating the LDS faith. The pamphlet answers 10 critical questions, such as: Did the Christian church really became totally apostate and needed to be restored? 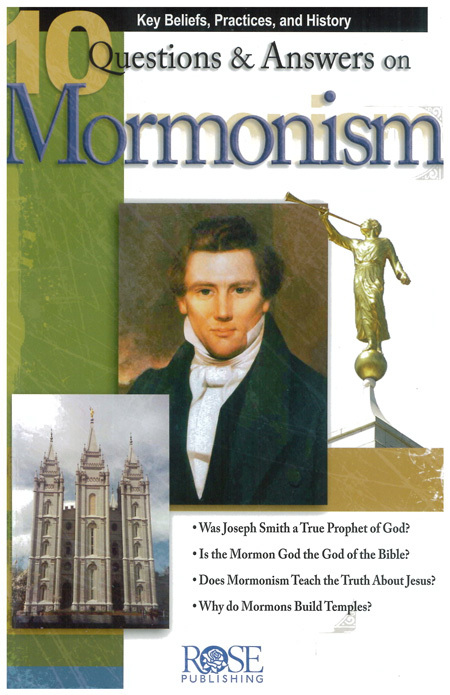 Was Joseph Smith a prophet of God? Is the Book of Mormon an authentic ancient document? Why do Mormons build temples? Also includes a handy glossary of key terms with special meanings in LDS religion such as baptism for the dead, First Vision, and priesthood.